Good news already seems to be rolling this year! One of the most popular game, which was previously developed only for iPhone users, is now available on Android. The beta version of the app was first available only in Canada. It has now available for USA as well. As HQ Trivia is facing a new environment due to platform change, the app is as of now unfinished at some level and hence still shows ‘Unreleased’ on Play Store. This step to launch the app for Android was long awaited due to its immense demand and popularity. The secret behind the much popular app is the real money that you can make by just playing it correctly. The developers of HQ Trivia had arranged for a special New Year’s Eve game with a whopping prize money. This announcement was greeted with a great response and users are already head over heels for this app. HQ Trivia is like any trivia game, which is a straightforward and hosted by a real person. The real thunder begins when you know that it is not operated by machines or computers but a person. 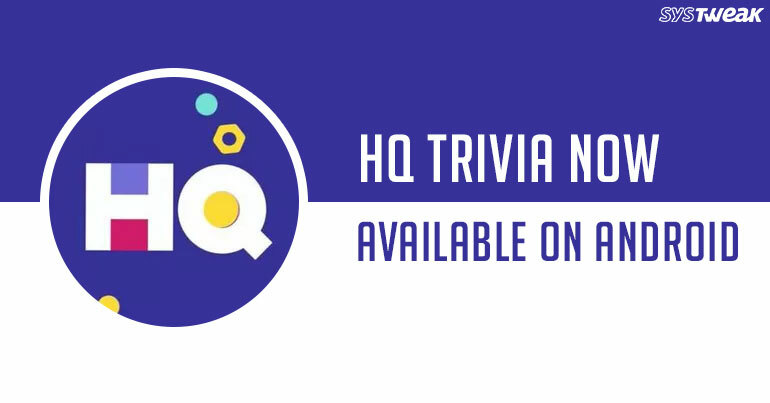 Though there are many trivia games hosted by different people from different corners of the world, HQ Trivia is probably the most popular amongst them. While playing HQ Trivia, you receive a push notification on your device right before a round of game is about to start. Here, you are given a finite time of 10 seconds to tap on an answer. If your answer is correct, you are forwarded to a tougher question. In case you’ve made a wrong choice, you’re declared out and have to start over. The fact that you get real money as award is the real motivation among people, which is the reason for its popularity too. There’re many people who’ve earned well by playing and exploring. Once you reach to a balance of $20, you can get this money transferred to your Paypal account and use it. So, if you’re into trivia games, HQ Trivia is an app worth trying that you can download for free on Google Play Store. You may also refer your friends and help yourself get some extra lives in the game. Overall, HQ Trivia is worth giving a shot and try your hands on. Though the game requires you to be aware about various topics, you can still play it for free and get to know more about the app. It is important to know that the game/app is still in beta mode and hasn’t yet been released to its full caliber. However, it is available on Google Play Store for you to download and share a feedback.